Dr. Fataneh Sarlati graduated from the Universidad de Antioquia Faculty of Medicine. She is now specialized in Radiology and also board certified in Diagnostic Radiology. 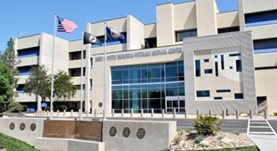 Dr. Sarlati has been in practice for more than 20 years and is currently affiliated with the VA Loma Linda Healthcare System. During her career, she has contributed to a publication of clinical interest. Dr. Fataneh Sarlati has contributed to 1 publications. Characterization of genitourinary lesions with diffusion-weighted imaging. Saremi, F., Knoll, A. N., Bendavid, O. J., Schultze-Haakh, H., Narula, N., Sarlati, F.; Radiographics. 2009 Sep 01.